From dumplings served street-side to perfect Peking duck presented in impeccable surroundings, Beijing restaurants have something for every travel budget. Beijing food is accompanied by centuries of history and culinary tradition, with influences from all over China. You'll find everything from traditional hotpots served in the courtyards of ancient hutongs to contemporary Italian in a Michelin-star restaurant. You can also explore some of the best street food in the world, with whole streets devoted to snacks like the breakfast pancake jianbing or the smoky spiced flavours of chuan'r. The bold flavours and intoxicating aromas of Beijing are guaranteed to create incredible food memories. 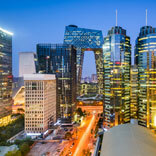 Beijing is arguably most famous for its Peking duck, aka Beijing duck. The earliest recorded recipe for 'shāo yāzi' is from 1330 and the first restaurant specialising in Peking duck, as we know it today, was opened in 1416. In case you’ve never tried Peking duck, it involves thin slices of crispy-skin duck, with tangy spring onion, refreshing cucumber and the sweet tangy bean sauce - all wrapped in soft pancakes. Try it at top Peking duck restaurants like Da Dong Roast Duck or Siji Minfu. You should also order a traditional hot pot, which involves cooking your own selection of meat and vegetables in a spicy broth at the table (this is perfect for sharing in a group). For this experience, try Haidilao Hot Pot. A common breakfast (or lunch, or dinner) is hand-pulled noodles. It's a simple dish of noodles, beef soup, sliced beef, white radish and coriander. Try it at any family-run hole-in-the-wall restaurant. Beijing is also famous for its Jiaozi dumplings. While traditional fillings include pork and Chinese cabbage, the more westernised fillings are definitely worth trying. Baoyuan Jiaozi Wu has brightly coloured dumplings for reasonable prices, while Din Tai Fung has innovative varieties, such as truffle or foie gras. As well as traditional dishes, Beijing has a traditional style of dining. The hutong laneways hide a number of the best restaurants in the city, where you dine alfresco in a courtyard much like the residents of five hundred years ago did. Lan Club and Bei restaurants, Beijing, China. With over 200 kinds of traditional snacks and entire streets dedicated to casual eating, you don't have to travel far to find amazing food - in fact there will probably be something incredible on the street corner by your hotel. For breakfast you must try jianbing, which often features the same bean sauce as Peking duck. Queue at a street vendor for this crispy pancake stuffed with omelette, hoisin sauce, herbs, lettuce and wonton strips. Also, try chuan'r, skewers of thinly sliced meat spiced with cumin, sesame and pepper flakes cooked over a smoky grill. For dessert, get some bingtanghulu, which is fruit covered in hard candy served on bamboo skewers. In particular, seek out the traditional Chinese hawthorn fruit. For a refreshing drink on a hot day, try lao Beijing suannai. A common sight in Beijing, it's fresh yoghurt made with nuts, raisins and rice wine and sold in glass jars, which you return to the vendor so they can be reused. Where can you find these amazing foods? Jiumen Xiao Chi (Nine Gates Snack Streete) has all the best places to eat street food clustered together. Wángfujing Snack Street is also lined with snack options, including scorpion skewers (if you're looking for some Fear Factor food). Guijie, or 'Ghost Street', is 1.5km of incredible food outlets lined with red lanterns. Just watch out for the hungry ghosts! Niujie Muslim Snack Street is another option, offering a slightly different range of food to cater for the ethnic community. If boiled sheep innards don’t interest you, then keep an eye out for youtiao (Chinese doughnuts). Try jianbing for breakfast, which often features the same bean sauce as Peking duck. It's a pancake stuffed with omelette, hoisin sauce, herbs, lettuce and crispy wonton strips. The hutongs in Beijing are the alleyways where ancient life was lived and you can still feel the sense of history. As some hutongs are getting knocked down to make way for contemporary buildings, others are becoming gentrified and beautifully remade. 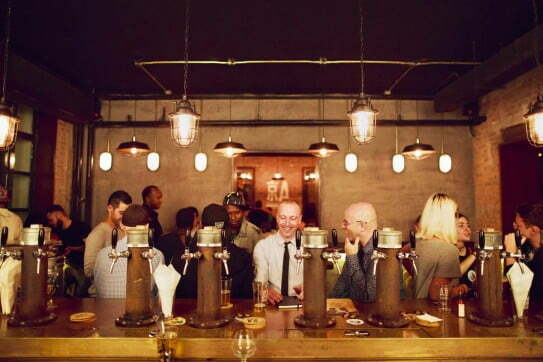 An explosion of craft breweries has hit the narrow laneways and Insta-worthy cafes are found next to 40-year old barbershops. Try some distinctive crafted baijiu (the local tipple) at Capital Spirits, or head to Great Leap Brewing for a glass of their Great Strong Smoked Ale, made using Manuka smoked malt! 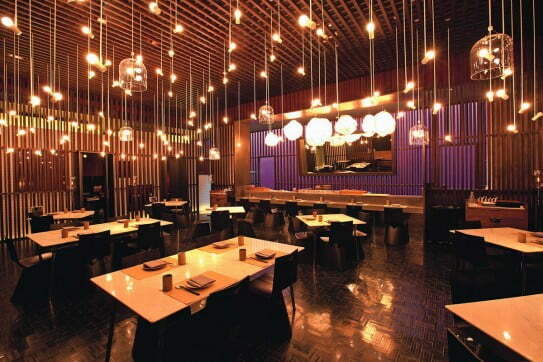 Sanlitun, north-east of the city, is packed with restaurants and bars with every imaginable type of cuisine. Jing Geng has favourites like Peking duck quianlong cabbage, as well as pea cake for dessert. Must Guette has a variety of international dishes, as well as a merry-go-round that can be turned on if you ask nicely! Lao Bei Jing Chai Shi has good, traditional food for fantastically good prices. For a very traditional hutong experience, head to Dali Courtyard where you can sit in the courtyard of a tiny restored home while the food is prepared in the kitchen. If you want to splash some cash, a 600-year old restored temple called TRB Hutong offers a European-style prix fixe. And don't forget to find Antlers, a Taiwanese street food restaurant owned by a Kiwi-Taiwanese couple. A Chinese meal and Jing-A Brewing Co.
As well as a thriving street food and cheap eats scene, Beijing also offers a selection of fine-dining restaurants to satisfy your culinary aspirations. You'll find The Georg in one of the rustic hutongs. The menu is small but perfectly formed, as are the dishes. Another idea is TRB (Temple Restaurant Beijing), which overlooks the gate of the Forbidden City and avoids the curse of best-location-worst-food. Impeccable service, European food and vintage wine make this a memorable experience. To experience a restaurant with three Michelin stars, seek out Umberto Bombana's 'Opera Bombana' - the premiere Italian dining experience in Beijing. With wine matching and meticulous preparation, this high-end food will more than meet your expectations. If you're vegetarian, King's Joy features on every 'must-eat' list for Beijing and it's completely meat free. The head chef Pan Jianjun is a former disciple of a Jianghxi Buddhist temple. His dishes are inspired by the monk's cuisine, and served in a tranquil, elegant garden. Jing-A Brewing Co image courtesy of Jing-A Brewpub Xingfucun.